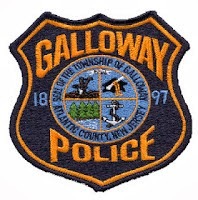 On 9/18/2014 at 12:39 p.m. the Galloway Township Police were called by Security from AtlantiCare Regional Medical Center Mainland Division concerning a possible suspicious person. Security advised that a visitor observed a male subject in the hospital who resembled Eric Matthew Frein (Wanted by the Pennsylvania State Police for the homicide of PSP Corporal Byron K. Dickson). Arriving officers met with Security, and it was quickly determined that the subject was not the above wanted person.